Happy Friday! We made it to another weekend, Super Bowl weekend. Lol. I recently became the brand manager for my sister's new accessories boutique, My Heavenly Closet. They are hosting their first giveaway contest for this bag. 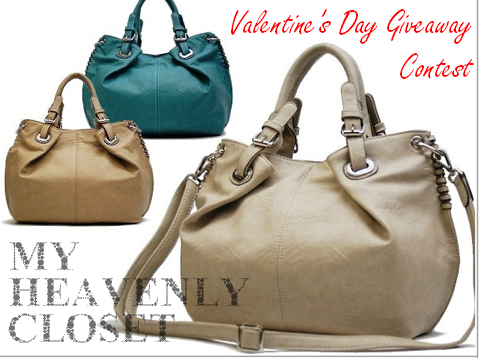 If you like bags, I would really appreciate it if you show us some love and enter the contest on our Facebook page: My Heavenly Closet. Make sure you read the guidelines carefully, you have to do more than just like the page. Thank you for your support and wishing you all a fabulous weekend!